Recently I have collaborated with designers who wish to concretise their work in clay. One example of this is the very fine tuned collaboration with Sami Ruotsalainen, who studied at the Ceramics and Glass department of the University of Arts and Design together with me. In this project design sketches from his sketch book were tried out in a monumentally large scale. 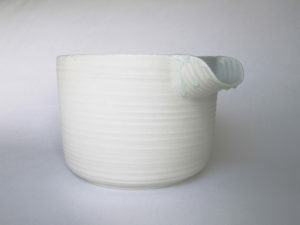 This large (50cm high) Milk Jug was made for Sami Ruotsalainen according to his drawings and sketches initially made for an industrial project. Sami supervised my throwing process and we created the piece through a mutual understanding. 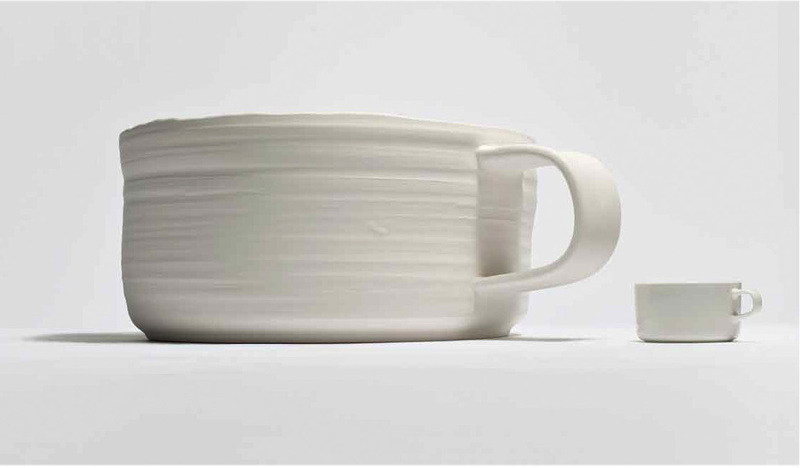 This large cup was made from the drawing of a teacup that is produced by Marimekko. When the size changes, the purpose and meaning of the piece changes. 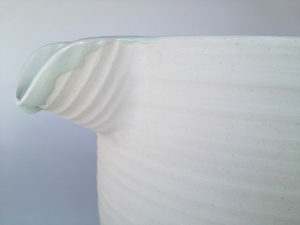 The pieces have been exhibited at the Helsinki Design Museum during the “Ceramics & Space” exhibition in 2014, and in several exhibitions arranged by the Design Migration Association. 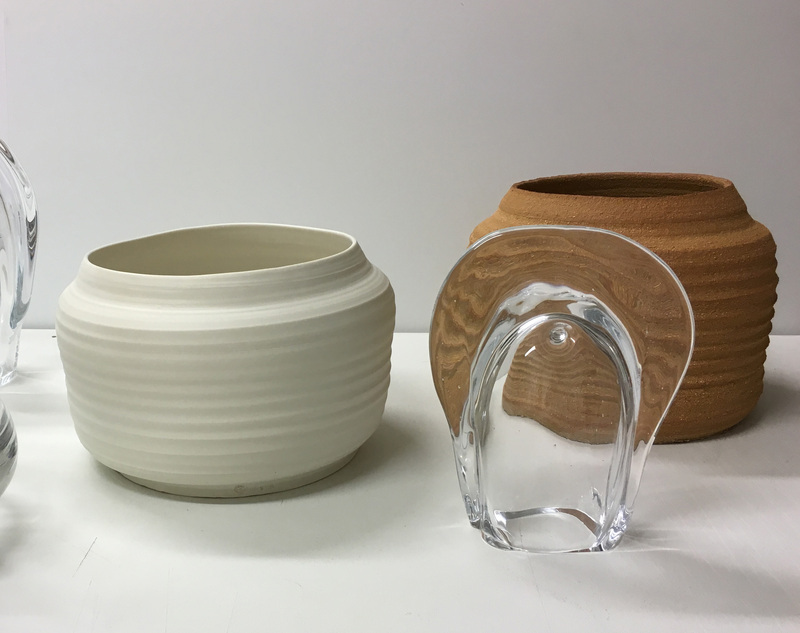 Work in Progress: These pieces in ceramics are part of an ongoing project that will be exhibited in a gallery in Helsinki during the spring 2017.